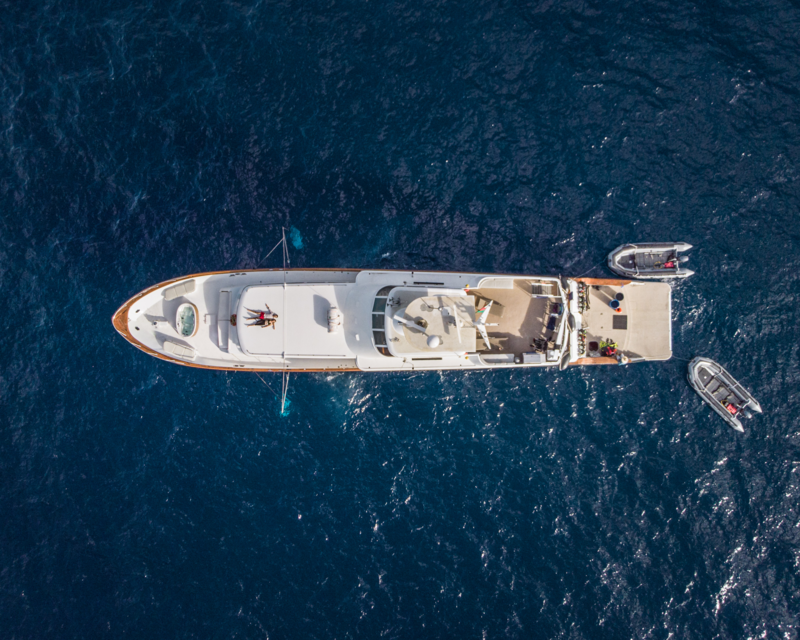 Captain’s Log – Roca Partida is kind of like the mega mall supermarket of diving – marine life comes from miles around to check it out! We arrived back to Socorro late last evening after two wonderful days out at Roca Partida. For those who have been to Roca Partida they understand the magic of the location. It’ kinda like the mega mall supermarket, marine life comes from miles around to check it out. 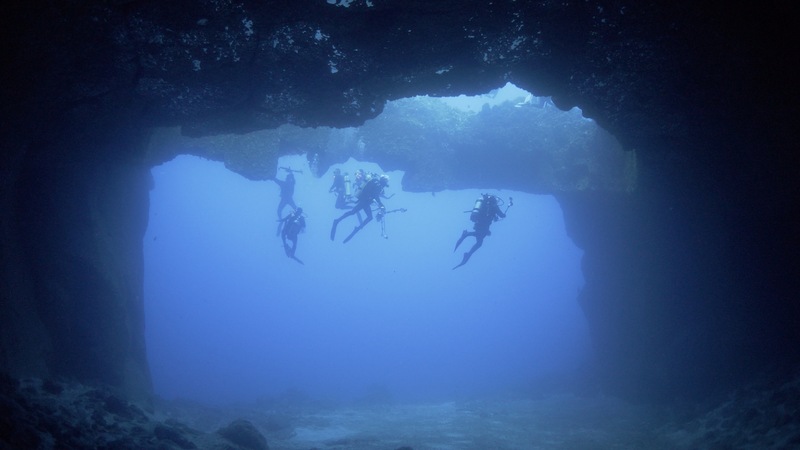 Every dive is different even though the area of the dive site is small. Water temps were running a steady 26C although one dive on the second day we had some colder water upwelllings on the SW side that was a good 3 degree cooler. Lots of sharks this trip, with all the tick boxes checked. Hammerhead sharks of course are always a favorite and we had small groups to large schools and when you see them silhouetted against the blue back drop of the water going to the surface, that is priceless. Today is our last dive day for this trip, then it will be back into Cabo San Lucas. Yesterday we had the opportunity to dive at Roca Oneal a small rockpile/island off the NW corner of Socorro. The prevailing NW winds usually make it a little rough to try and dive this location, but we have been blessed with low winds and seas for almost this entire trip. Great topography with a couple of sinkholes, caverns and arches in the lava flow. Hammerheads off one point of the flow and giant mantas circling the divers for the better part of two dives, a very good dive with good conditions. I guess I should not have crowed about the good conditions yesterday as we had to deal with a little more wind than forecast at Cabo Pearce for our last days diving and we are now headed back to port at Cabo San Lucas. Actually have a little bigger seas heading home than I was expecting, although it is still a good crossing and I expect conditions will flatten out as we get closer to Cabo. Yesterday and on our second day at Roca Partida, we had another dive boat on site, the Solmar V. I do want to acknowledge and thank them for working with us on the dive schedules whenever it happens that we end up at the same locations. Being at the same locations at the same time is something we all try and avoid but at times due to weather windows it happens that we are. It is nice to have cooperation from our competitors to give you the best diving experience possible. We depart on our next trip Dec 9 and hope to have you along as we start diving then. Newer Post Why do we have to leave? Damn that nitrogen narcosis.. The giant manta is the most gorgeous, graceful fish in the sea! Older Post Early morning dive at Roca Partida with the stars still twinkling, beautiful visibility and sharks everywhere! 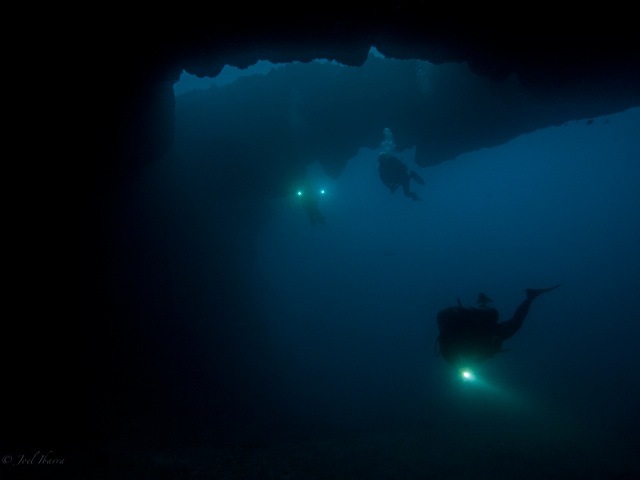 Early morning dive at Roca Partida with the stars still twinkling, beautiful visibility and sharks everywhere! Why do we have to leave? Damn that nitrogen narcosis.. The giant manta is the most gorgeous, graceful fish in the sea!